Welcome to your Holiday Haven! Azalea Hotels and Residences is the freshest addition to the flourishing hospitality industry in the Philippines. 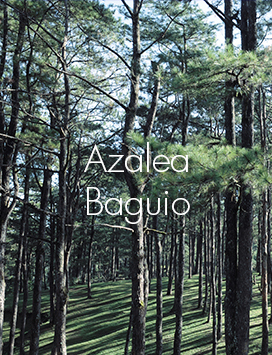 Pioneering the largest all-suite hotel in Baguio City, Azalea soon thereafter opens its doors in the captivating island of Boracay. Combining world-class service standards, modern-day amenities and thoughtful attention to details, Azalea with its signature multi-use serviced apartment guest rooms, hopes to establish the hotel as the perfect abode for rest and leisure for every family fun, group getaway or romantic retreat.